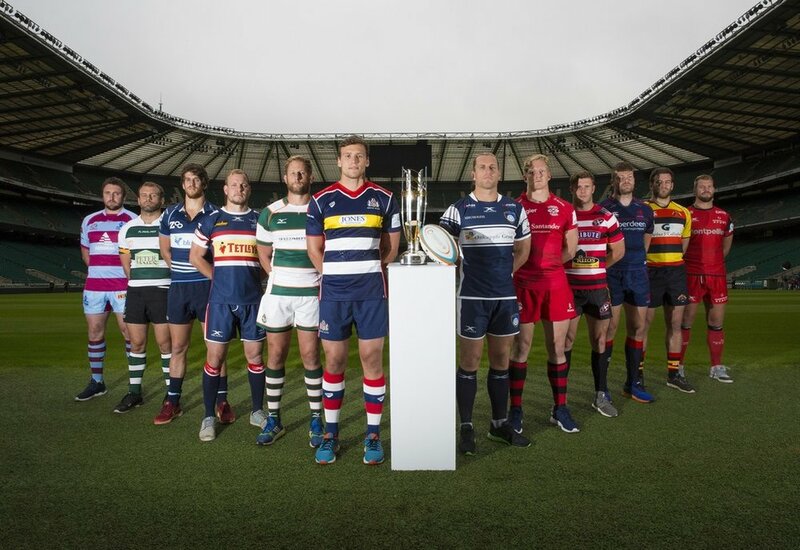 The ninth season of the Greene King IPA Championship launched today with all 12 club captains and coaches attending the season launch event at Twickenham Stadium. The teams came together to preview the 2017/18 season, which kicks off on 2 September and sees Bristol Rugby return to the competition following relegation from Aviva Premiership Rugby and Hartpury RFC make their tier two debut. Hosted by former Greene King IPA Championship player Tom May, the event saw John Barnes, Geoff Irvine, Pat Lam and Nigel Melville discuss the building excitement ahead of the new season. Bristol Head Coach Pat Lam commented: “It’s great to be involved in the Greene King IPA Championship, I look at the teams we are going to be facing and the venues we are going to be playing at and it’s very exciting. “We have a clear vision at Bristol Rugby of where we want to go. We have three main objectives: we want to be a Champions Cup team, we want players playing for England and number three we want a lot of young Bristolians coming through and playing for Bristol. For that to happen it’s all about the quality of our rugby programme as well as coaching staff and if we get that right we’ll go a long way to achieving what we want to achieve." Hartpury RFC Director of Rugby John Barnes added: “Last year was a fantastic year, we never thought we’d go the season unbeaten and win promotion but when we got to that promotion stage it was sheer elation. To then finish the season unbeaten was a fantastic achievement and we look forward to the step up and the challenge that awaits us in the Greene King IPA Championship. The launch of the new season was also marked with the news that the Rugby Football Union (RFU) has renewed its partnership with Greene King IPA for a further three seasons. The extension will see Greene King IPA retain its title partnership of the Greene King IPA Championship, cementing its position as a key supporter of rugby at all levels of the game. Commenting on the partnership extension, RFU Chief Executive Officer, Ian Ritchie said: “This is a very exciting time for the Greene King IPA Championship and we are delighted that Greene King IPA has committed to support the competition for three more seasons. The news of Greene King IPA’s partnership extension was supported with the announcement that the RFU has invested in two significant marketing initiatives that will help to further promote the competition; a bespoke Greene King IPA Championship website and a redesign of the competition’s brand identity. ChampionshipRugby.co.uk will officially launch ahead of the first weekend of fixtures in September and the new brand identity will be rolled out across all Greene King IPA Championship assets and collateral from 21 August 2017. In addition, the RFU has committed to live stream up to ten games this season which will be hosted on the new website along with the England Rugby social media channels and will be led by a commentary team of Tom May, Rob Vickerman and Nick Heath. This is in addition to the 11 games that Sky Sports – the official broadcaster of the Greene King IPA Championship – will air throughout the season. Round one of the 2017/18 Greene King IPA Championship will commence on Saturday 2 September 2017. For the full list of fixtures for next season, click here.